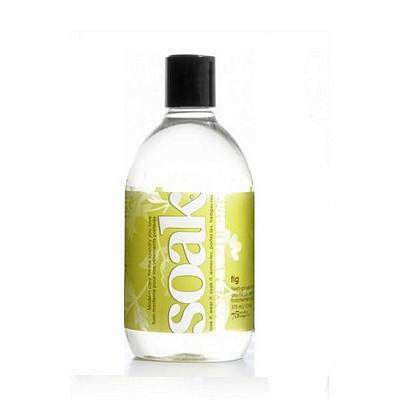 Soak is modern laundry care with an eco-friendly formula. Made from plant derived and renewable ingredients means this soap is easy on sensitive skin, biodegradable, phosphate-free, sulfate-free, and dye-free. Designed to be as easy on the environment as it is on your clothes. Soak is ideal for lace, soft sweaters, baby clothes, quilts, swimwear, workout wear, and more! To use simply soak, squeeze and lay flat to dry. No rinsing necassary. Safe for hand or machine washing. Scent: Fresh-picked clean. Fig is ripened with sweet fig and lychee and crowned by dandelions.